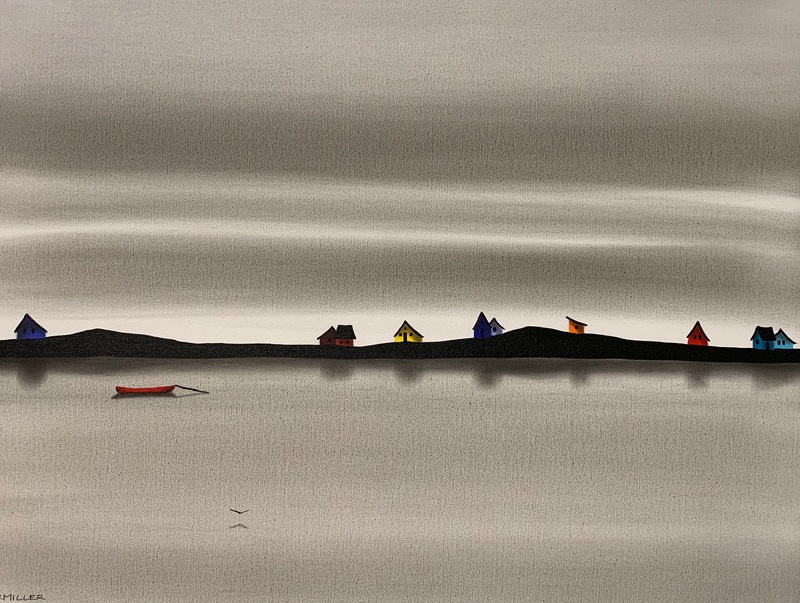 Natasha Tanner-Miller is a self-taught artist who was born and raised on Vancouver Island and travelled by boat to the east coast where she currently lives and paints on Deer Island in the Bay of Fundy. 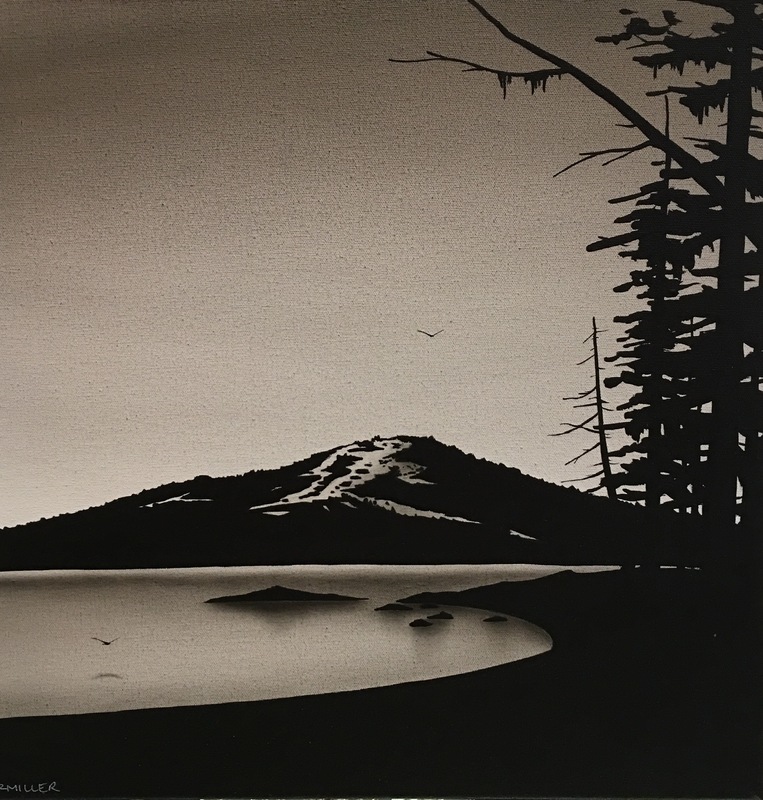 Natasha has pioneered a unique painting technique where she creates haunting yet calming seascapes and landscapes using homemade maple charcoal from her wood fired pizza oven, ashes and acrylic paint used for the bold silhouettes and pops of colours. Most paintings consist of 40-60 layers of medium and sealers and usually take over a month to complete. 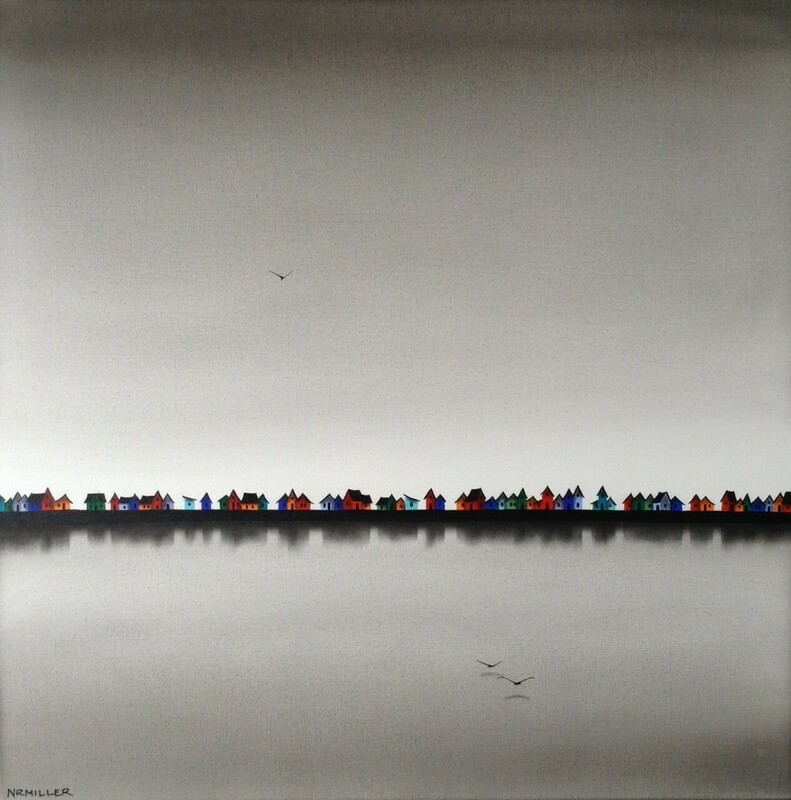 She has always drawn inspiration from the dusk and dawn created silhouettes all around- especially trees and rugged coastlines, the sea and its boats, birds and beaches and her current work reflects this. Natasha's work is quickly gaining momentum and collectability through her participation in international art fairs in Toronto, her representation in ten different galleries in North America and through an ongoing touring 40-piece exhibition through a Paris based gallery.